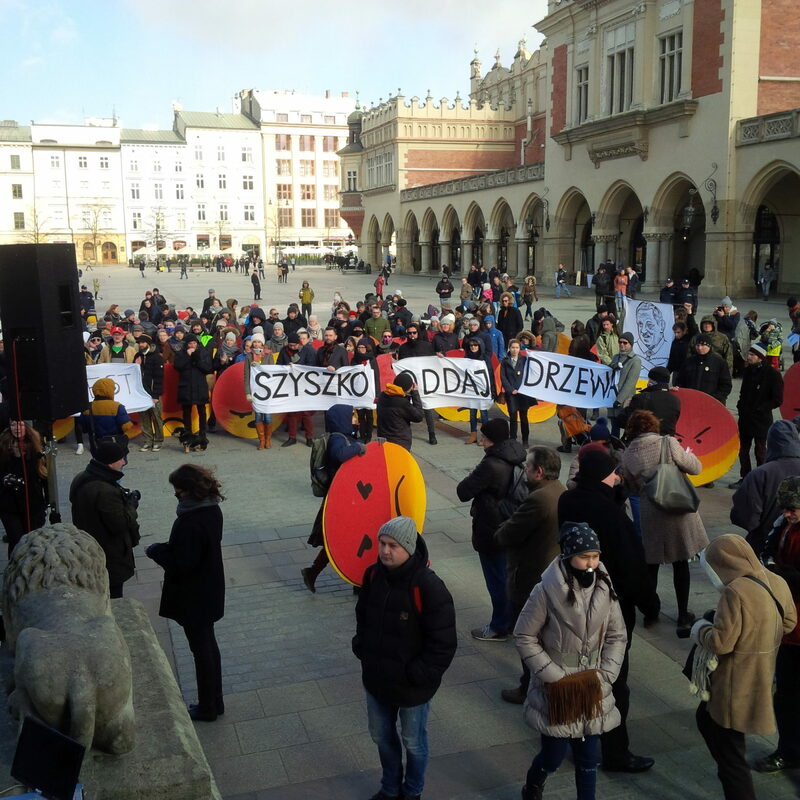 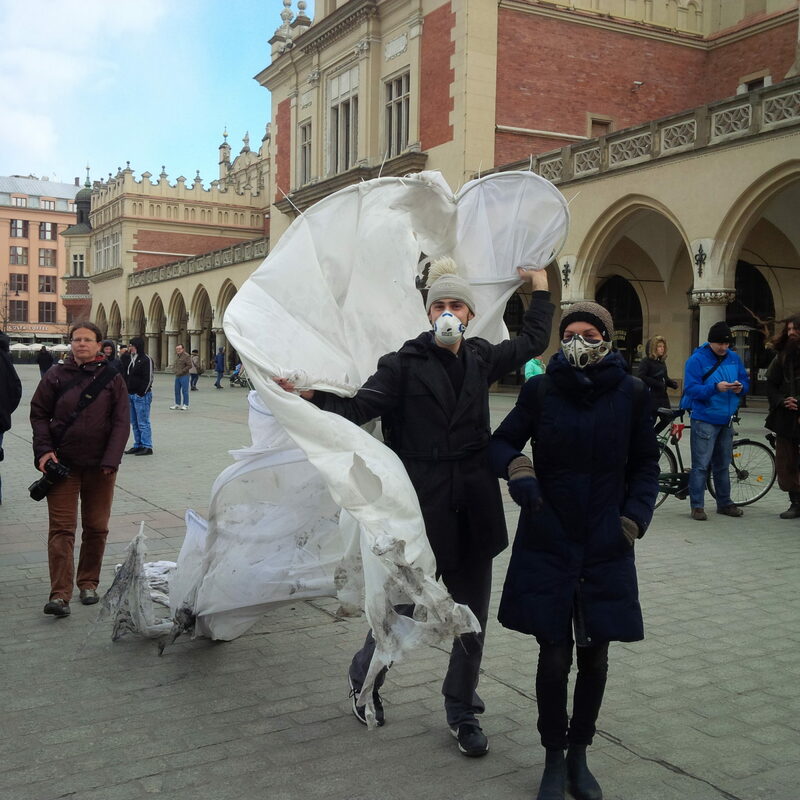 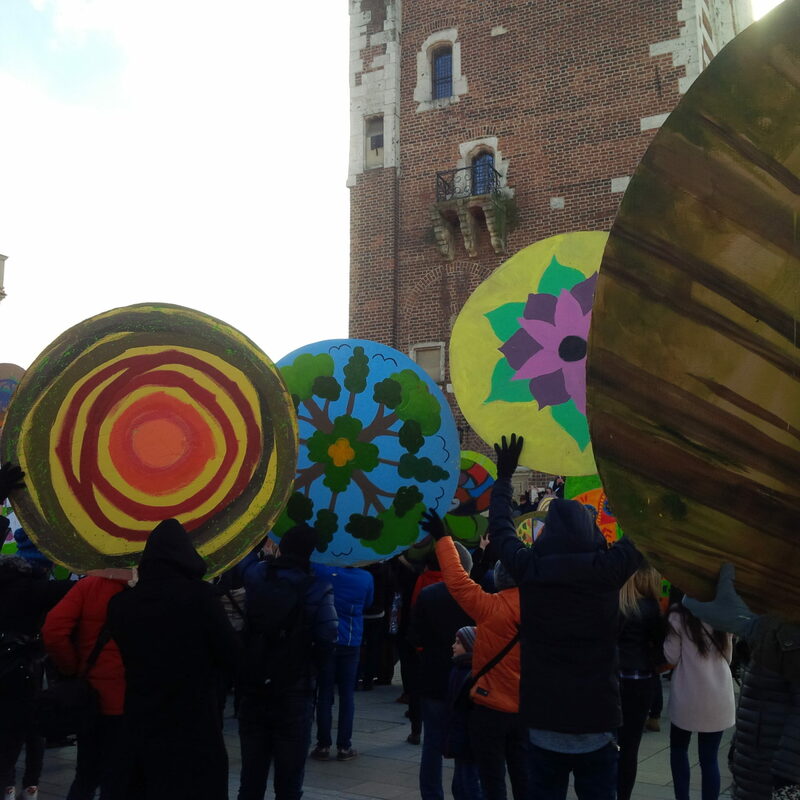 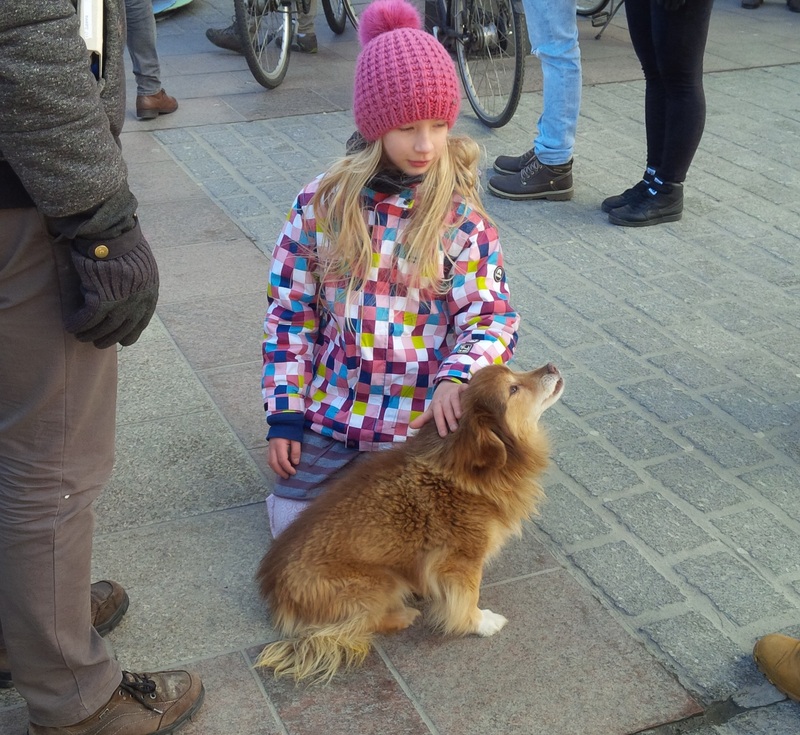 About 300 people gathered on Krakow’s main square last weekend for the “Czysty [Clean] Protest” against the severely unhealthy levels of smog experienced regularly in the city. 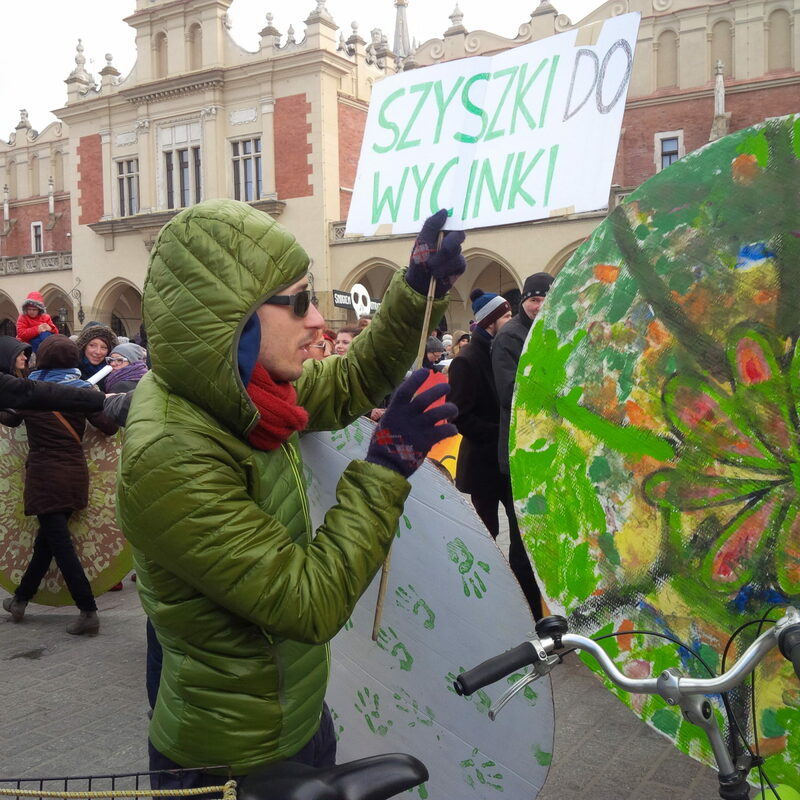 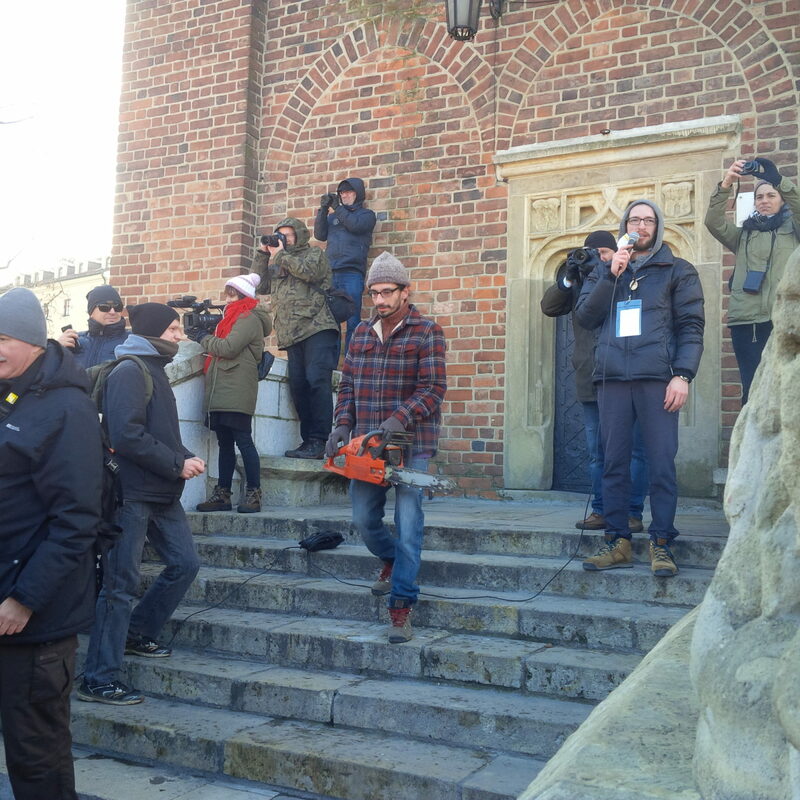 Furthermore, they spoke out against the policies of Polish Environment Minister Jan Szyszko, which have liberalized the felling of trees on private property and in the primeval Białowieża Forest in eastern Poland (a UNESCO World Heritage Site). 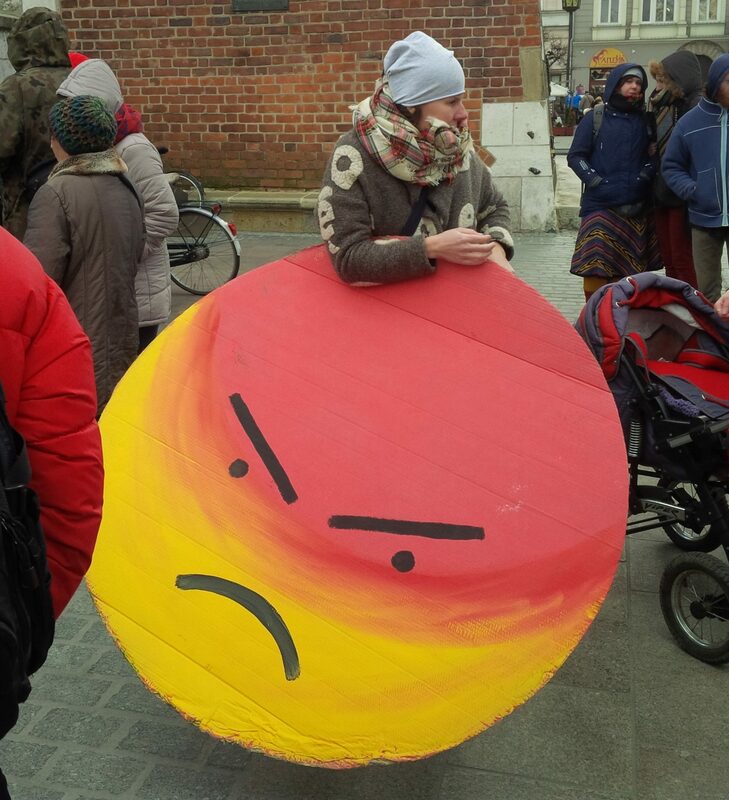 Demonstrators, some wearing smog masks, held up huge signs bearing angry emojis with cooler-colored designs on the backs. 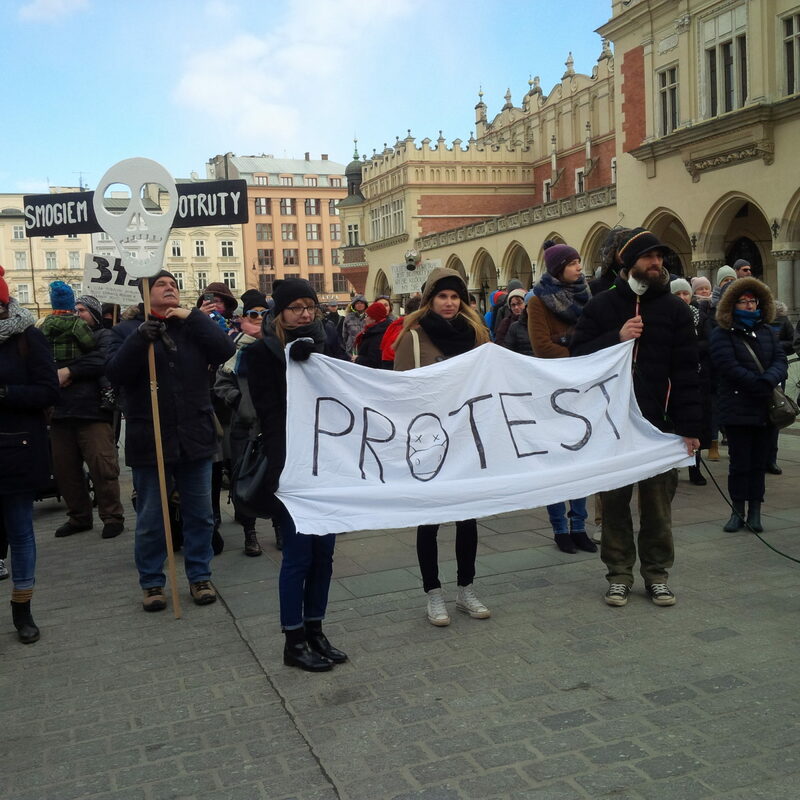 Perhaps the USA should send the new EPA Administrator to visit Krakow to enable him to see the future of his grandchildren.